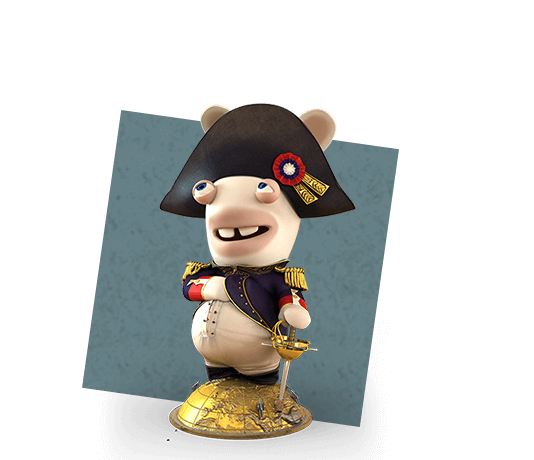 The most eminent historians have confronted their knowledge and gathered numerous clues to reconstitute the Rabbids timeline. 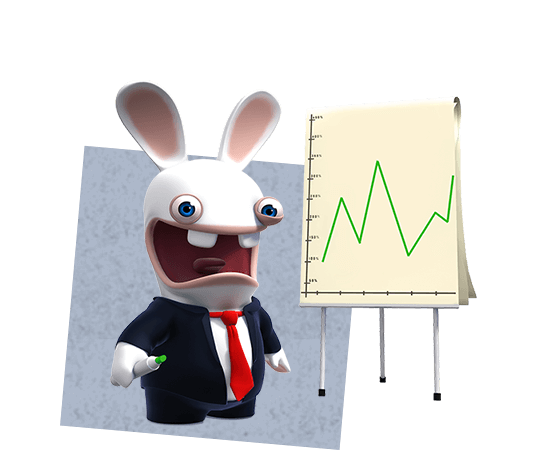 While they became famous in 2006 with their first videogame, evidences suggest that the Rabbids might have been influent throughout our history. Lascaux cave paintings feature some unidentified drawings of short creatures with 2 long ears and teeth. 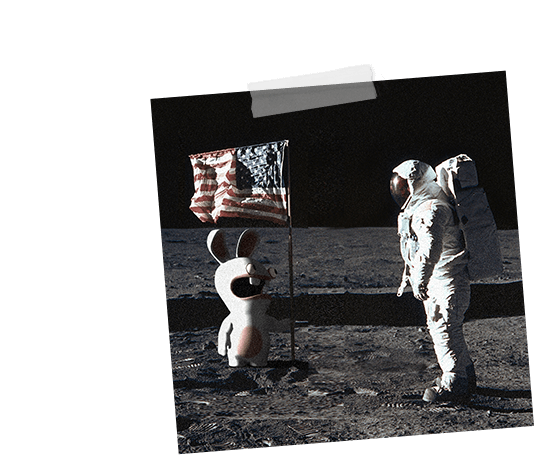 Could this be the first evidence of Rabbids’ presence on earth? 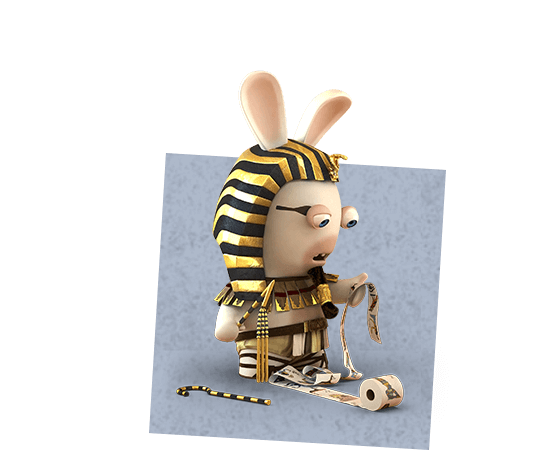 The Rabbids keep exploring earth and wreak havoc in Egypt. This period is thereafter known as “Plagues of Egypt”. Afternoon of July 14th, 2 Rabbids struggle over a frivolous matter. Quickly escalates into the French revolution. On July 1969, Apollo 11 lands on the moon. 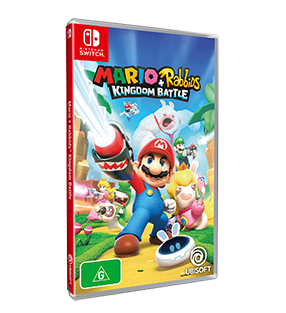 But no sign of Rabbids there?! Probably why they called the landing site “Sea of Tranquility”. It all started with a videogame. 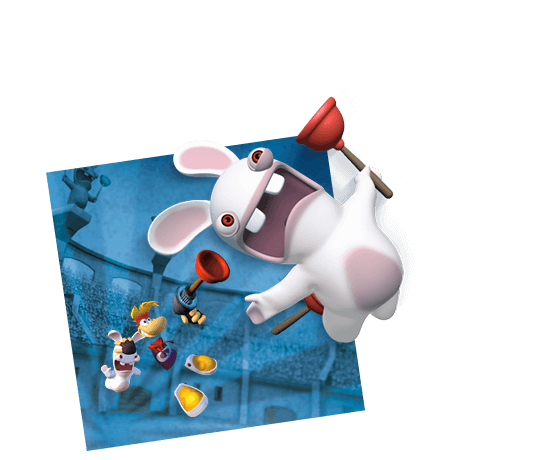 Rayman Raving Rabbids initiate the worldwide phenomenon of the Rabbids. 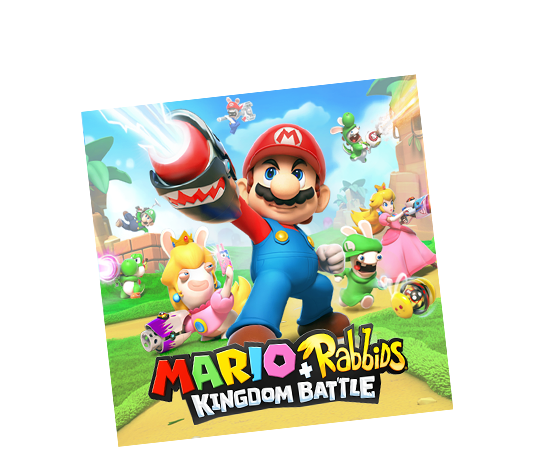 This is the first documented appearance of the Rabbids, invading and twisting Rayman’s world in this memorable Wii party game. 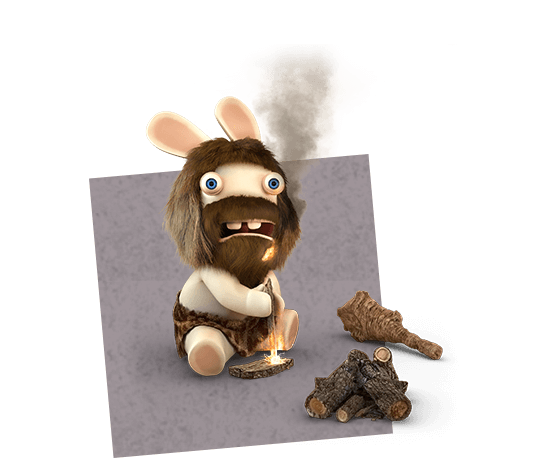 After the success of their first video game, the Rabbids are back. And this time, they have a new objective: invade planet earth! Beware. 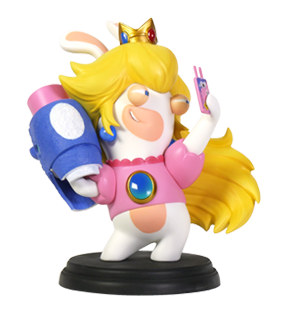 The Rabbids are driving Rayman crazy one more time. This time, they have taken over almost every channel, from music to movies - even TV ads! 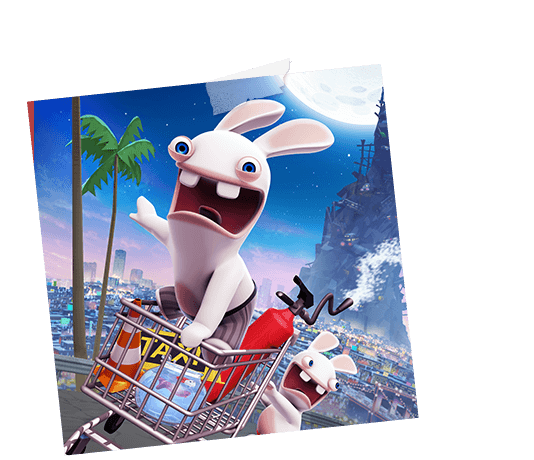 The Rabbids are no longer in Rayman’s shadow and have become independent with their first comedy-adventure! As usual, they have an infallible plan: collect objects into a giant pile to go back home to the moon... or near enough! 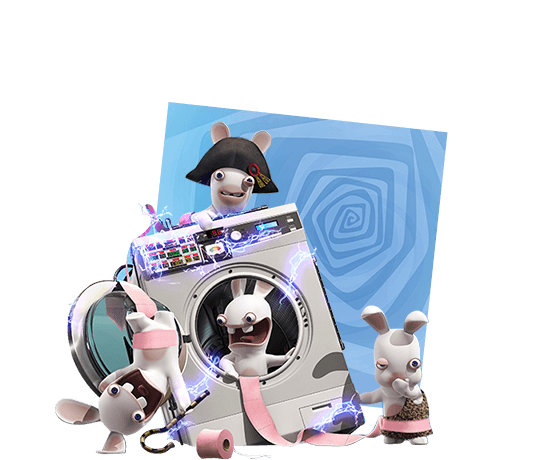 In their latest attempt at taking over, the Rabbids have stumbled upon a time-travelling washing machine. They have therefore set out to invade our history! 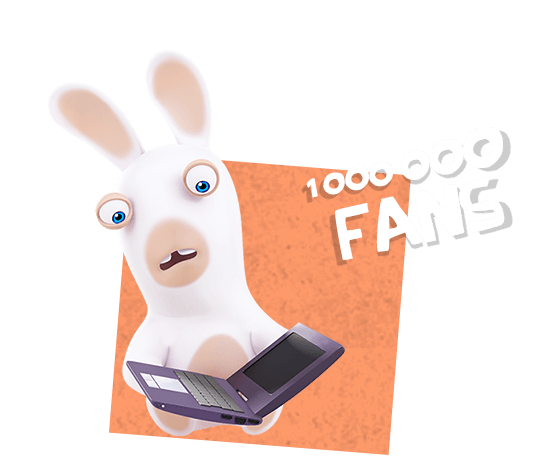 The Rabbids might have failed at conquering earth, but with their spoofs and crazy ideas, they’ve surely conquered Facebook. 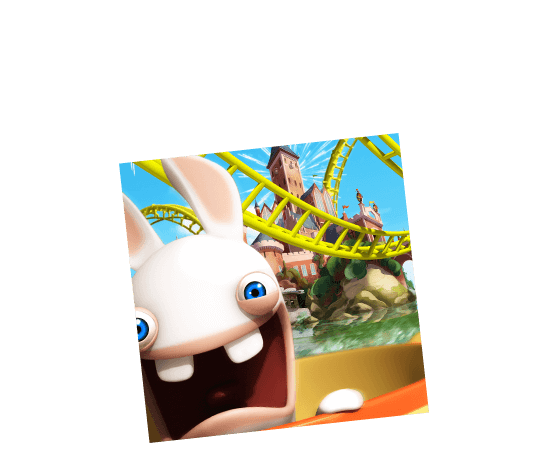 To celebrate the release of the WiiU, the Rabbids have taken over an amusement park. No doubt they’ll enjoy their day with all the attractions and games. 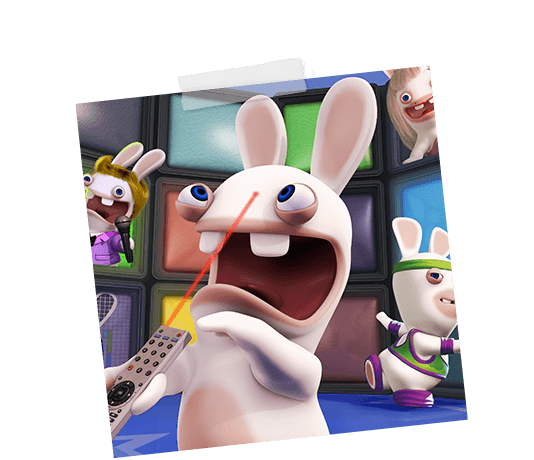 Rabbids’ invasion of the human world take a new turn with their dedicated TV series. 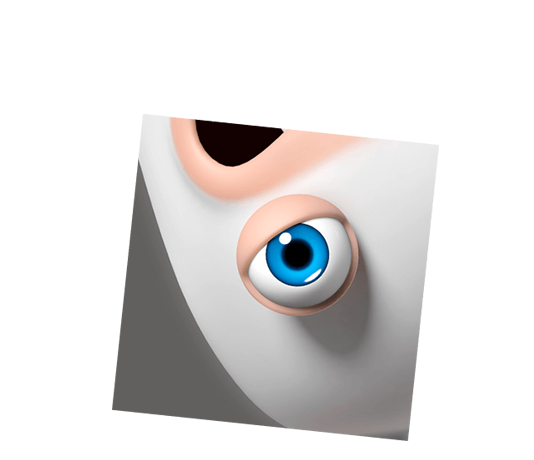 Discover the Rabbids’ daily life as they explore our human world. 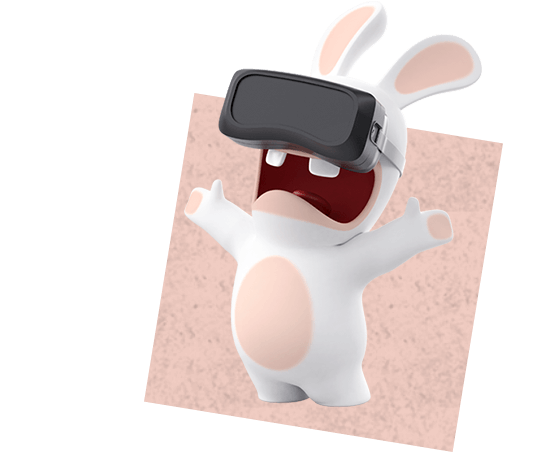 The Rabbids are up for a big thrills with their Virtual Reality ride. 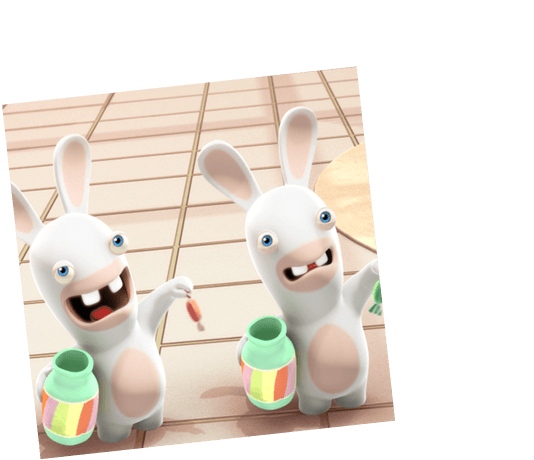 The Rabbids are determined to attend the 2016 Rio Olympics… but, surprisingly, don’t manage to qualify in any sport. Usain Bolt can be reassured. 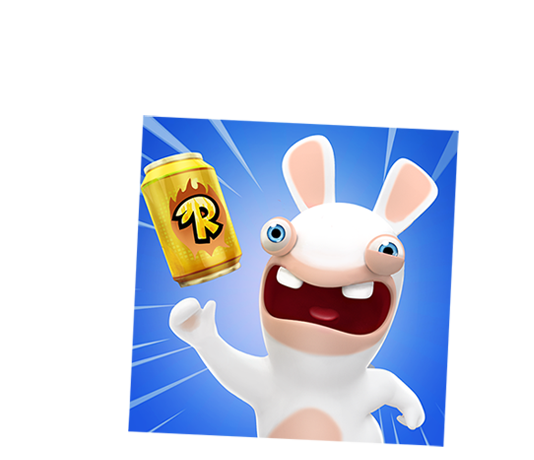 The Rabbids are celebrating their 10th anniversary. No doubt they’re ready for a mad party, and much more years of fun! 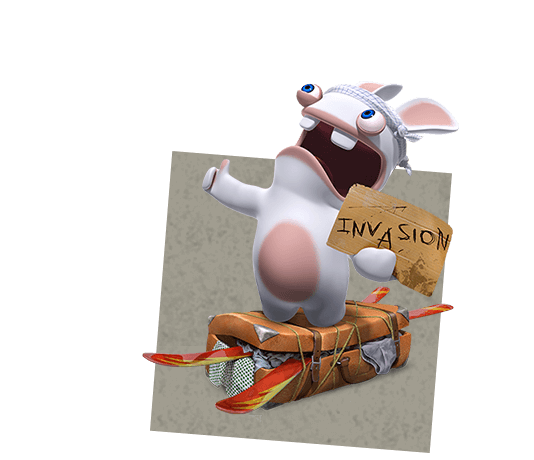 After home consoles, Rabbids are expanding to smartphones. They can now follow you everywhere in this new adventure to reach the moon!